while it rains: Things we love: Sugarboo & Co. + A Giveaway! 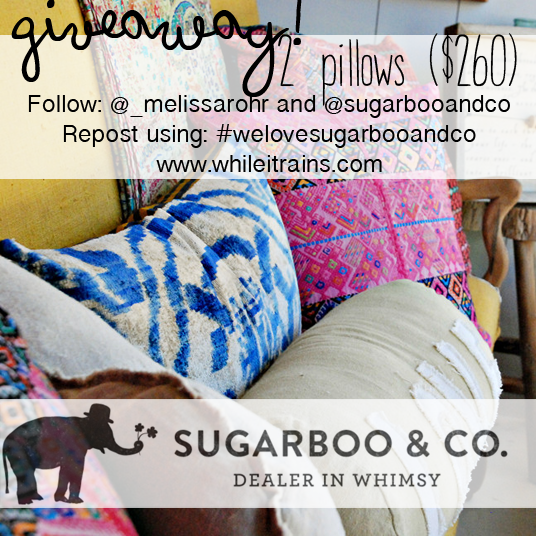 Things we love: Sugarboo & Co. + A Giveaway! It's my birthday - Let's do a giveaway! Yay! I'm 29 today and I couldn't think of a better way to celebrate then sharing one of my favorite companies with you! 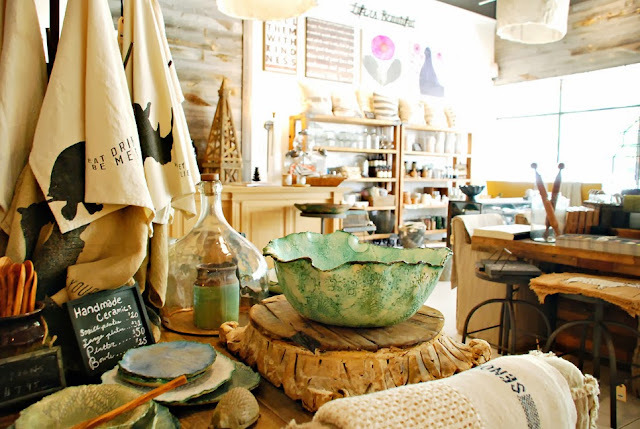 Sugarboo & Co. is exactly that - Dealers of whimsy. Their Atlanta store front and online shop offer some of the most eye catching, quality pieces that I promise you won't find anywhere else. I think I could literally purchase everything, my house might overflow but holy cow it's all amazing. It's a one stop shop for all your gifting, hosting, and decorating needs! Where do I even start? 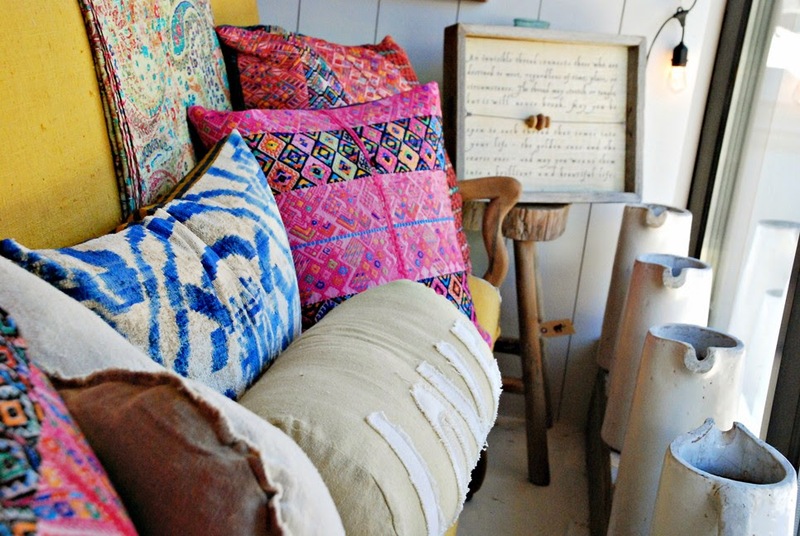 The marquees, the felt animal menagerie, the pillows…oh for the love of gorgeous comfy amazing pillows. I could drool over the jewelry for hours or plan endless dinner parties with the amazing settings and table accessories. Geeze, I want it all! It doesn't stop there! There are large and small prints, children's toys and clothing, and even stuff for your dogs. Sugarboo & Co. so generously sent my family two pillows from their personal design line. I was able to pick out ones that fit our style perfectly while still adding a ton of new flare to the room. I went with the "Always" and "To Carry All My Love" pillow. We have had them for about a month now and I am in love! I wasn't totally sure what to expect after I picked my choices - That is always a risk when ordering something online. I was floored when they arrived - Not only are they h u g e but I was blown away by the quality of the actual pillow insert. Even my mom who works in the textile industry was impressed by the pillows! I have already washed both once and they came out looking brand new still which is huge with a drooly baby and messy older kids always climbing all over them. Now the fun part - I have teamed up with Sugarboo & Co. to give one lucky reader BOTH of the pillows that I picked out as my favorites, a $260 value! Entering is easy, just follow the Rafflecopter prompts below. This giveaway will run for two weeks until November 21st. Please be honest with your entries and good luck! Happy Birthday!! This is such a cute store! love the pillows! Happy Birthday! What an awesome store. I LOVE those pillows! Happy Birthday! Those are the cutest pillows! Oh my gosh, Happy Birthday Melissa! I hope it's been wonderful! 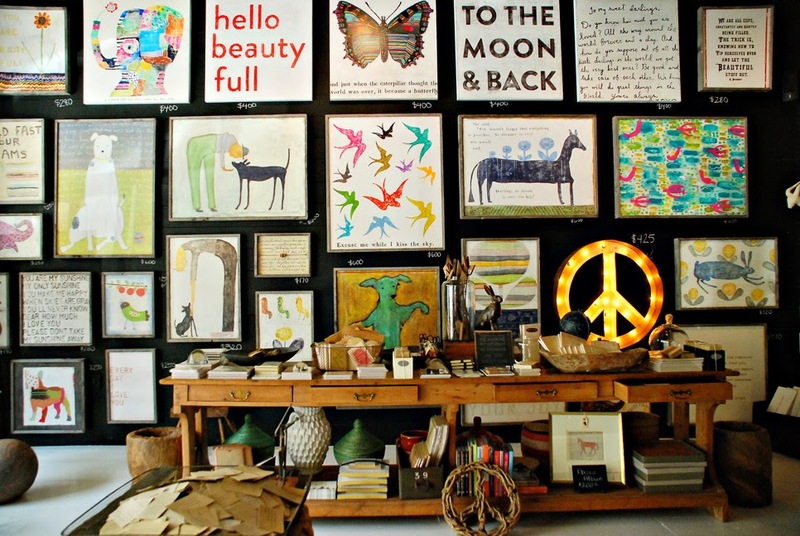 And I think I've found my new favorite shop too, wow, totally in love and I've only looked at these photos, ha ha ha! Happy Birthday! Can't wait to see the pillows you picked!